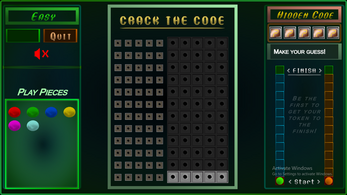 Welcome to Crack the Code, the game that challenges your mind in a fun way! 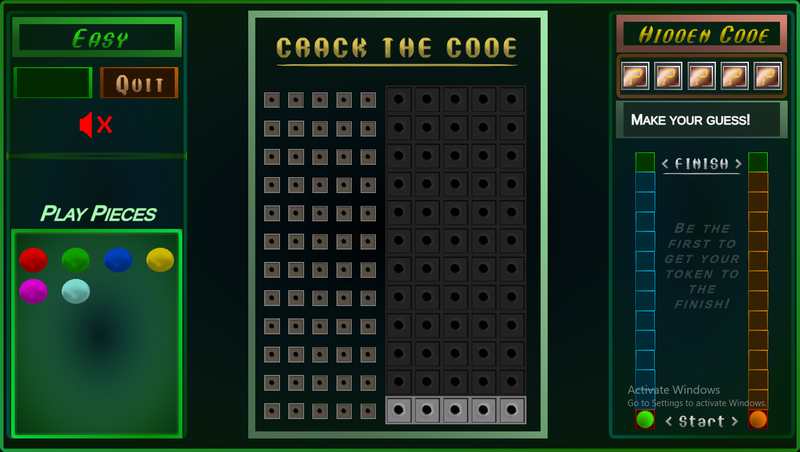 Your mission, is to try and match the hidden code generated by the computer. 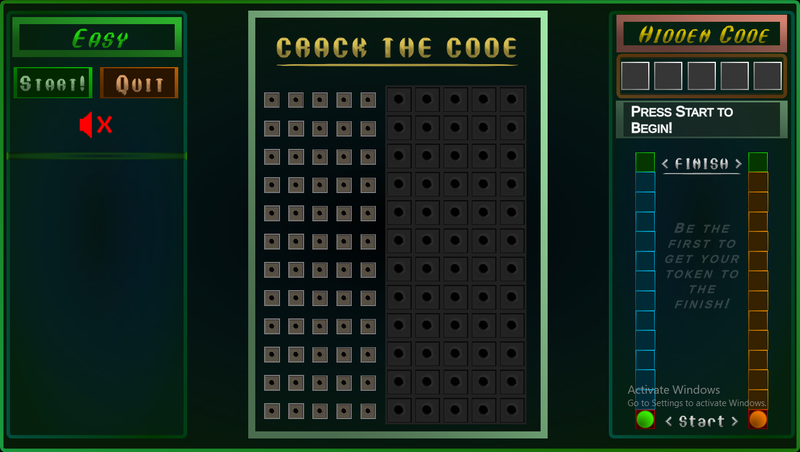 Each time you guess the code properly, your score piece will advance so many spaces, If you guess the code in 4 rows or less, you will advance 6 spaces, over that many rows you only advance 2 spaces. 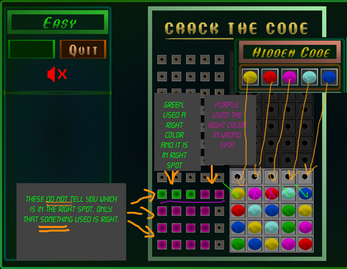 Each time you fill a row, the computer will compare the 2 codes and give you the results in the spaces to the left of each row. You can then refer back to previous rows and compare what might be right or wrong. 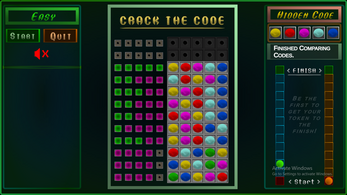 If you still have not cracked the code on the last row, the computer will score and their piece will advance 5 spaces. 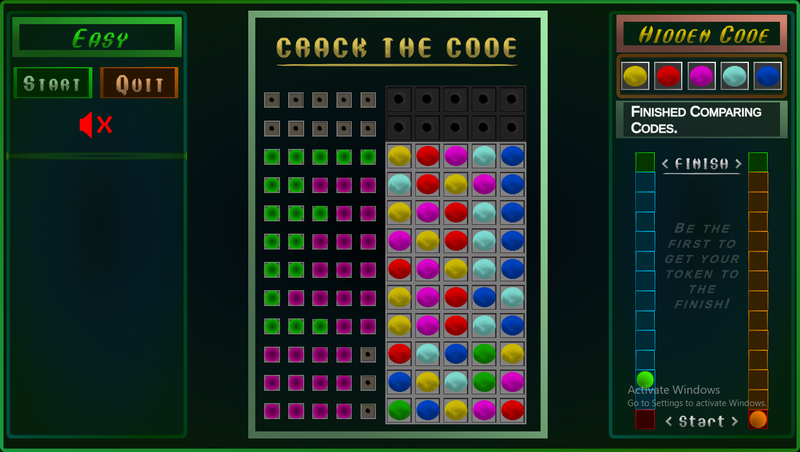 The first to get their score piece to the finish will win the game! 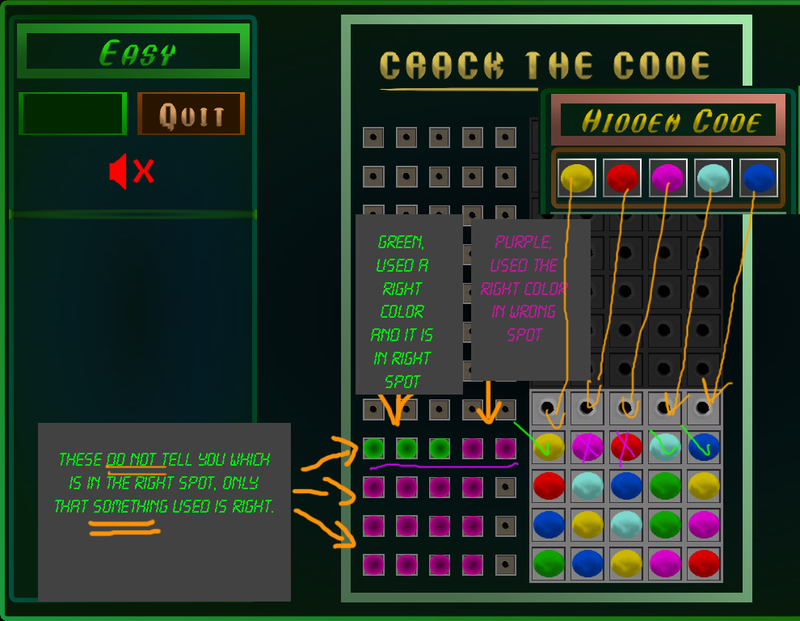 PC - left click to place pieces, right click to remove pieces. 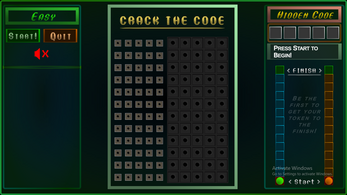 Crack the Code Full Version Released! !